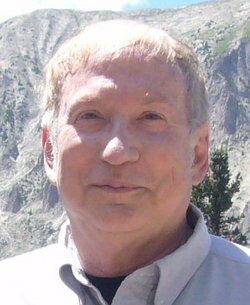 Award winning author John E. Stith is re-releasing nine science fiction titles in 2016 and 2017! I will be featuring the books on my blog as they become available (this is the seventh book). So, check them out, especially if you enjoy Science-Fiction! 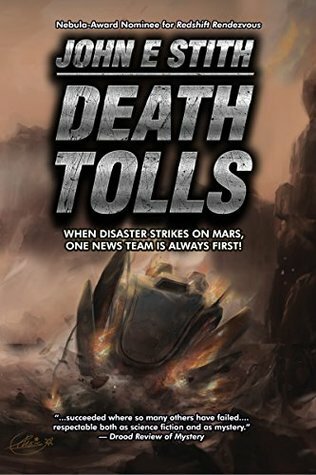 This story takes place on Mars. Dan Kettering's brother was killed in an air crash. Dan is approached by a detective who wants his help investigating MNBS, a television station whose reporters tend to be the first on the scene anytime there's a disaster. Dan is a former reporter and agrees to go undercover as a driver for a team of reporters at MNBS under the new name of Bill Letterer. While there, he meets and connects with Janet, one of the reporters, and has to determine if he can trust her with the truth. Dan is divorced with a son and his ex-wife doesn't understand the nature of what he's doing so she continually sends their son, Brad, to stay with him. He has to work extra hard to protect his son, as well as keep up his undercover persona. It's highly stressful and even dangerous at times. I enjoyed the mystery as Dan tried to figure out what was going on and who might be involved. It picked up as he started putting the pieces together and got to the point where I couldn't read it fast enough. It's a solid read for anyone that enjoys science-fiction and mystery. I have enjoyed the books I've read by this author and look forward to reading more! Science fiction and mystery author John E. Stith writes across many worlds. His books have been translated to French, German, Italian, Japanese, Portuguese and Russian and are even available in braille for the sight-impaired. His stories have been categorized as "Hard science fiction," a label given to those stories thoroughly researched to play fair with the rules of science; something any die-hard SciFi fan can appreciate. It was during the summer Science-Math Institute for High School Students at Cloud State College, John served as editor for the school paper, but several more years would pass before the urge to write, strengthened by years of loving to read, was too compelling to ignore. His stories vary, but his books are packed with suspense, mystery, and humor. He has appeared on a live nationwide PBS broadcast or Science-Fiction Science-Fact (SF2) and his work has also been sold to film and television. His novel Reckoning Infinity was chosen as one of Science Fiction Chronicle's Best Science Fiction Novels, Redshift Rendezvous was picked as a Nebula Award nominee and Manhattan Transfer received an honorable mention from the Hugo Awards and a nomination from the Seium Award in Japan. Stith is a member of Science-Fiction and Fantasy Writers of America (SFWA), Mystery Writers of America (MWA), Writers Guild of America (WGA), International Thriller Writers, Rocky Mountain Fiction Writers (RMFW), Colorado Author's League and Mensa. He currently lives in Colorado Springs.